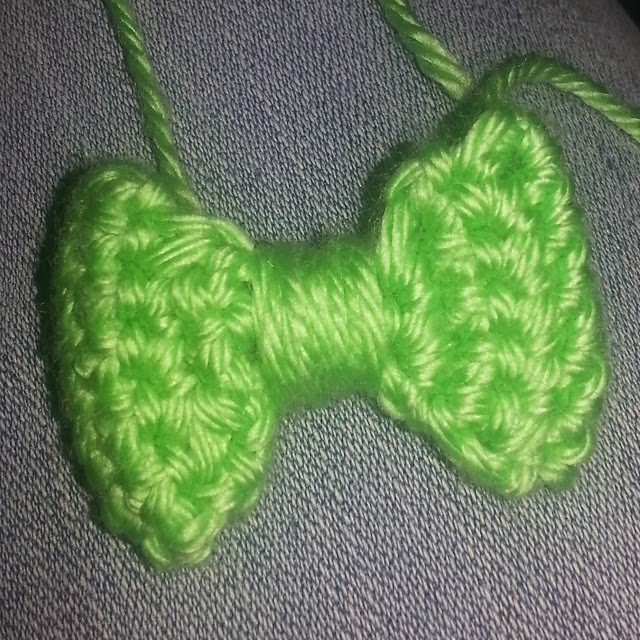 This was my first pattern that I released: Little Bow. This was a free pattern. If you haven't checked it out before, you can find it HERE and add it to your queues and favorites! When I came up with this one, I had needed a bow for a doll dress and couldn't find anything that was exactly what I wanted, so I sat down with my hook and yarn and this was the result. But now, on with what y'all probably really want to see. THE SALE! 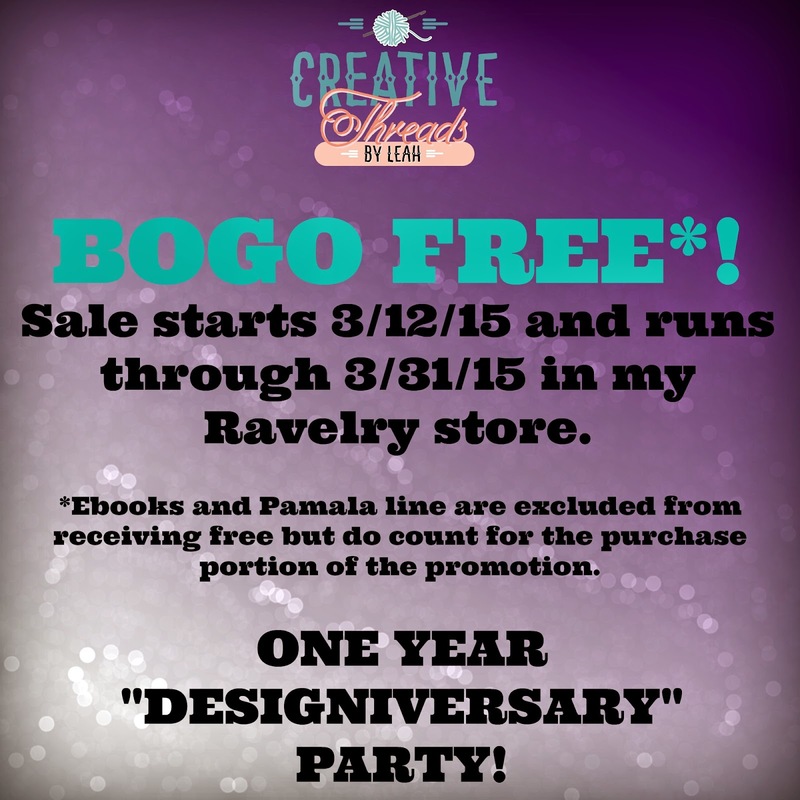 I've decided to do a BOGO FREE sale. There are some exclusions. eBooks and the Pamala line cannot count as your free pattern but will count as your buy one. Use the coupon code "ONEYEAR" to get the promotion in my Ravelry store HERE. This code will work no matter how many patterns you put in your cart. SO if you add 6 patterns to your cart, you will get 3 of them FREE!